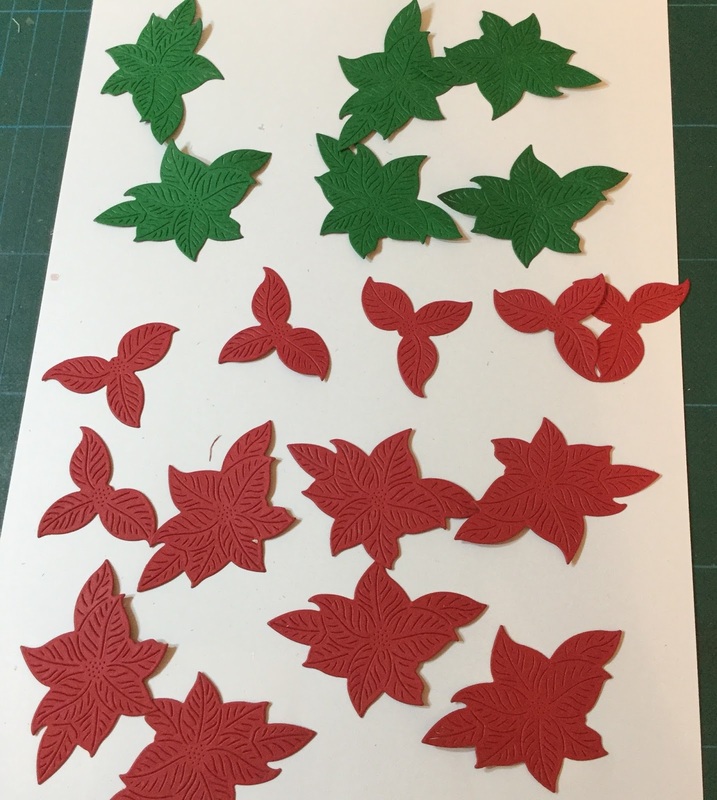 The way I like to approach this die set is to cut out lots and lots of the flowers and foliage all at the same time. 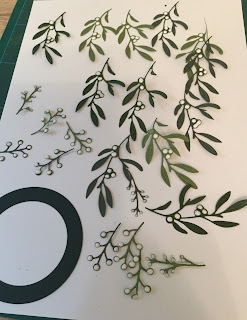 Then I can add pearl drops, in white or in red, which I find really lifts them and gives them an added dimension... beautiful! Once they have been left to dry - and I would always recommend you leave them overnight so you can be totally confident they've all dried thoroughly - putting a beautiful card together with them is simplicity itself. 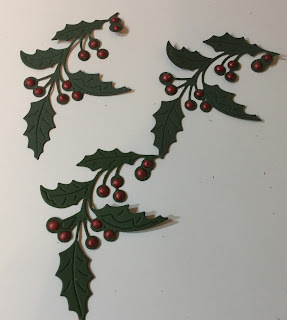 Here I made an eye catching festive wreath. 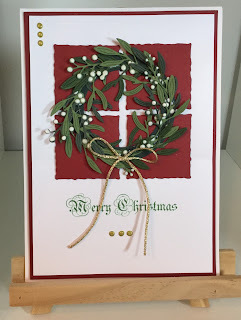 I alternated the two colours of mistletoe die cuts around a circular frame before adding a gold bow and I stuck all this on top of four squares using number 5 from the Torn Edge Squares die set from the Tattered Lace Essentials range. A final little flourish was to add a few gold pearl drops, and the card was done. 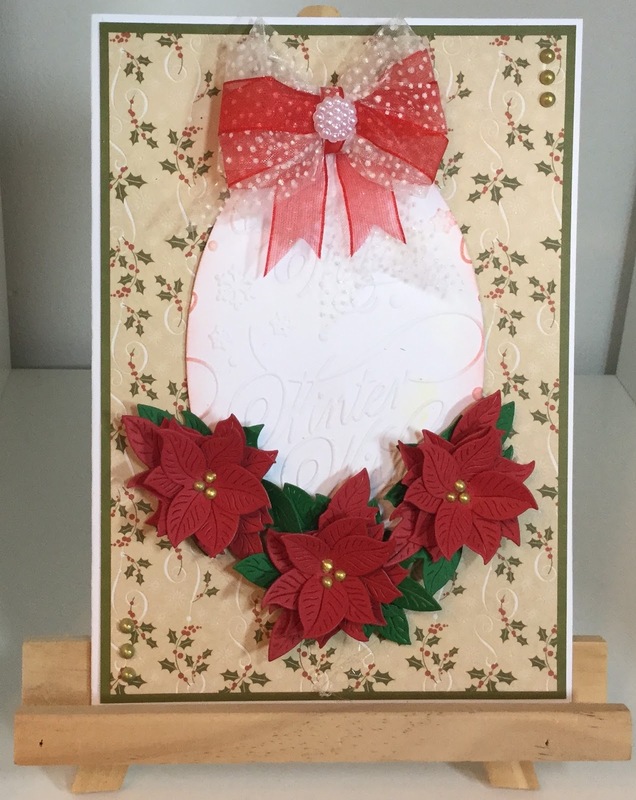 This second card really showcases the Poinsettia die. After cutting the three layers from green and red card stock I shaped them before layering them up using silicone glue. Adding three gold pearl drops to the centre of each flower catches the eye and really accentuates the beauty of each blossom. 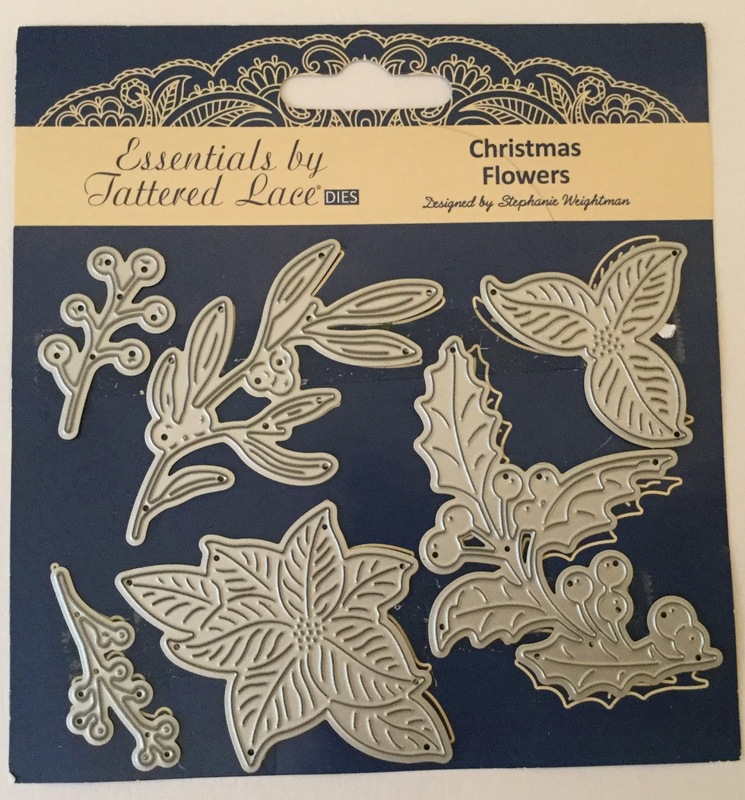 The flowers are placed around an oval die cut which I embossed with a Yuletide sentiment. The whole thing was topped off with a beautifully ornate handmade bow. I love these cards but they are just two examples of the potential of this lovely die set. The only limit is the limit of our own imagination! I 'only' have another thirty Christmas cards to make but it puts me in the festive mood even though it's still a little early. I wonder if it's too early to break open the Christmas chocolates?